Photo of the day: A GARBAGE MAN WITH (CREATIVE) BALLS! 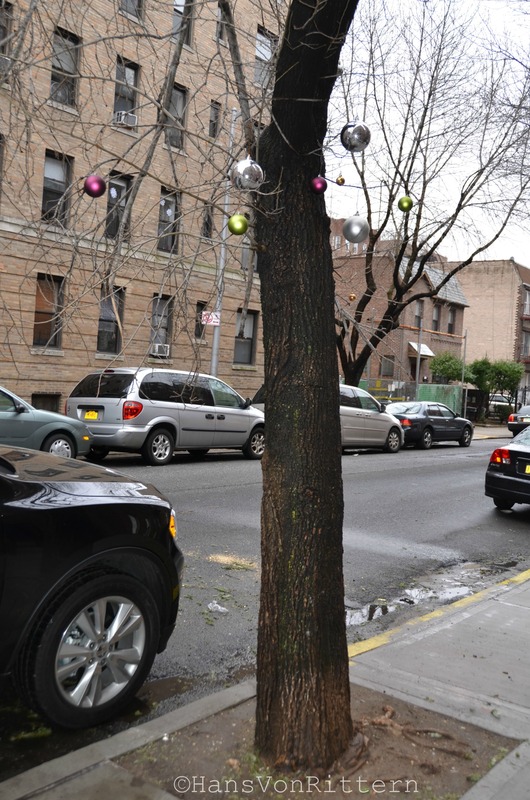 A GARBAGE MAN WHO HAS (CREATIVE) BALLS: As I walked my dog last night I saw a local resident here in Sunnyside, Queens had thrown out their Christmas tree replete with all the plastic ornaments. As I walked by this morning . . . I noticed the garbage and the tree had been picked up, but not quite all the ornaments. Our garbage man got a little creative and decorated our tree on the street! Merry Januarymas! CELEBRATING THE THREE KINGS: While the ornaments may have vanished from store windows on December 26th, Christians will finish their celebration of Christmas on Sunday, January 6th with the feast of the Epiphany, the twelfth and final day of the Christmas. Many people confuse when the Twelve days of Christmas actually take place. A Lot of people think it’s the 12 days leading up to Christmas, and that it’s counting down to Christmas. As soon as the day is over, the 12 days of Christmas start, but a lot of people take down their decorations the day after. The Twelve Days of Christmas grows out of European tradition that links the feasts of The Nativity and The Epiphany. In many traditions early on, there was not a whole lot of emphasis on Christmas as a holiday; more of the focus was on Easter and the resurrection. During the season of Advent, the approximately month-long period prior to Christmas, Christians are encouraged to focus on readying themselves for Jesus’ birth, these preparations are not made with presents, but with Scripture readings and charitable work so that the hearts and minds of Christians will be in the spirit to celebrate the birth of Christ. There are seasons of feasting and seasons of preparation. But in our culture, we want feasting all the time, all lights and decorations. The commercial world is going on and on about the singing of the Christmas carols, which is a little premature…unless you know what you’re celebrating and that’s what Advent does. Mom and I do not put up all of our decorations until December 22nd. Those decorations then remain in place until after the Twelve Days of Christmas have ended. The real religious significance is that on the twelfth day it is believed to be the day three wise men journeyed to Jesus’ birthplace and paid their respects to him by offering presents. An Epiphany Festival means “manifestation of the light.” And so, mom and I will light the candles on our tree one last time tonight. 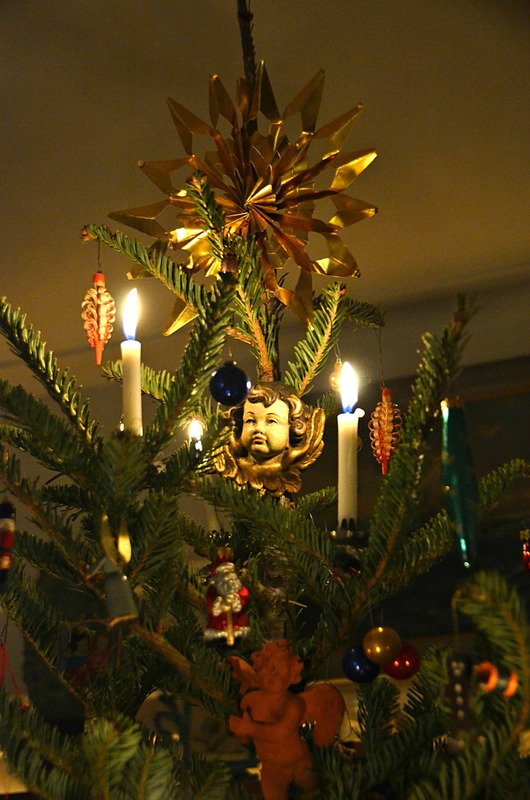 See my post of December 26th about our traditional German candle lit tree! NEW YORK GLITTER:What is more shiny and bright than New York? New York and Christmas just go perfectly together just like the glass ornaments in my tree, I love they way they reflect light and shine – just as New York City does. And what is more New York than a bright yellow shiny taxi cab or bagels and cream cheese from your favorite delicatessen? The iconic I Love New York logo or the silhouette of the beautiful Flatiron building? 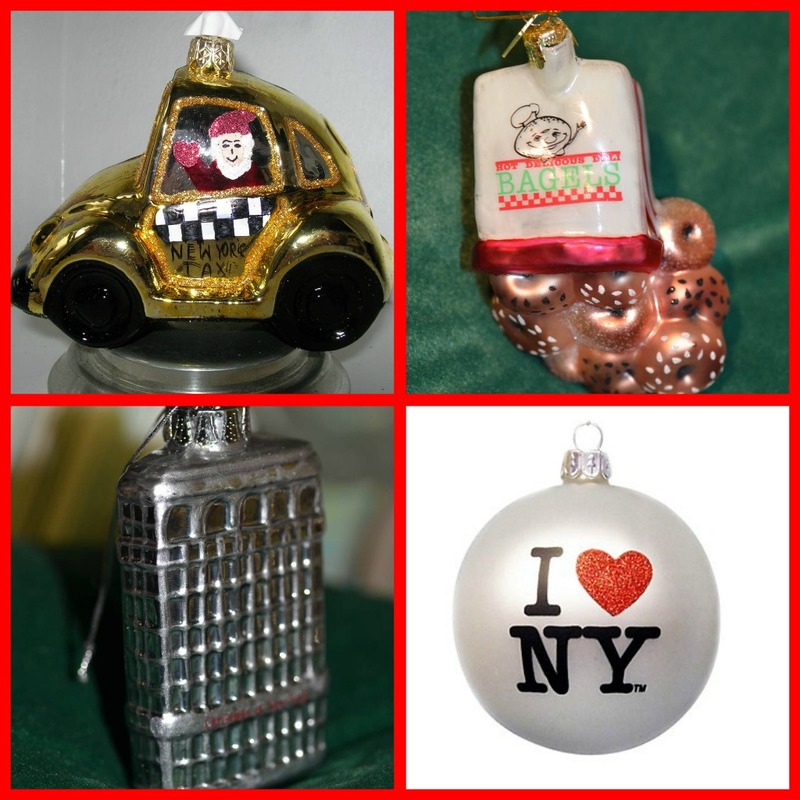 Christmas trees and New York – two big extravaganzas filled with colorful ornaments. Big, shiny and bright! HAPPY HOLIDAZE ! 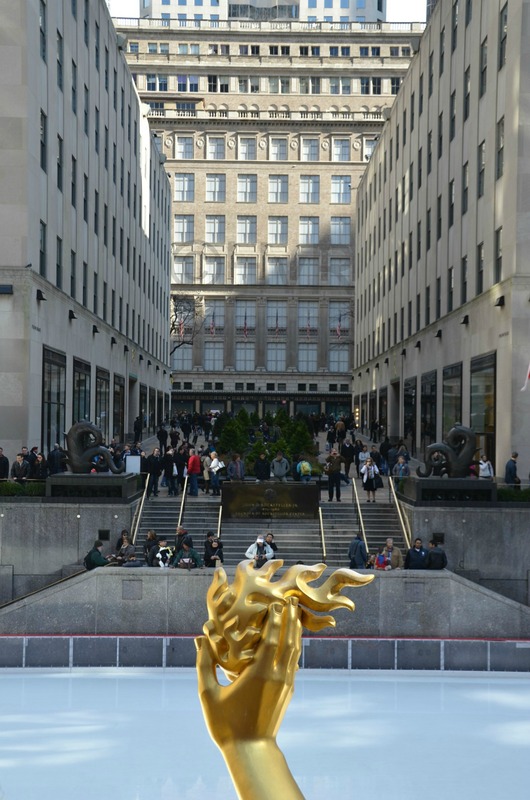 Photo of the day: A TREE IS COMING TO ROCKEFELLER CENTER! A CHRISTMAS TREE IS COMING! : Today Rockefeller Center will erect the annual New York City Christmas tree. Not your ordinary tree. 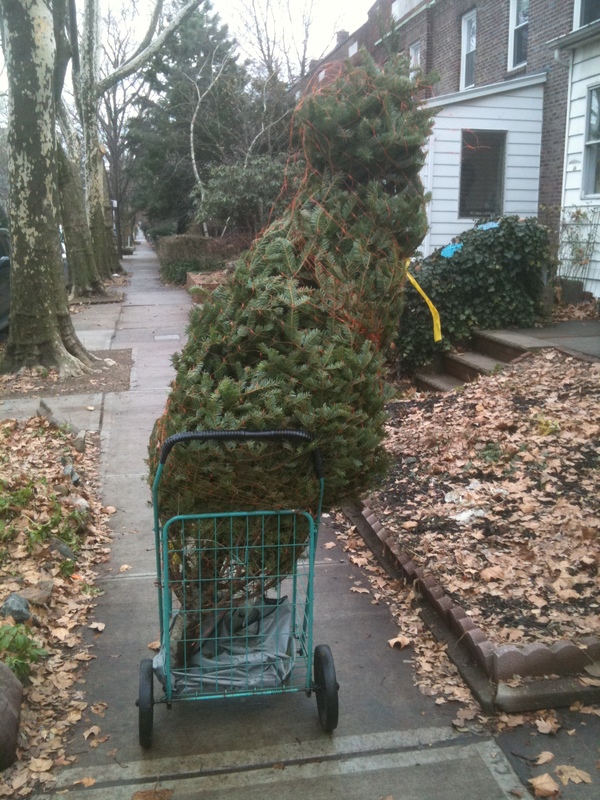 This Norway Blue Spruce is from our neighboring state New Jersey and weighs 10 tons. It will stand a 80 feet (24 meters) in height, 50 feet wide (15 meters). 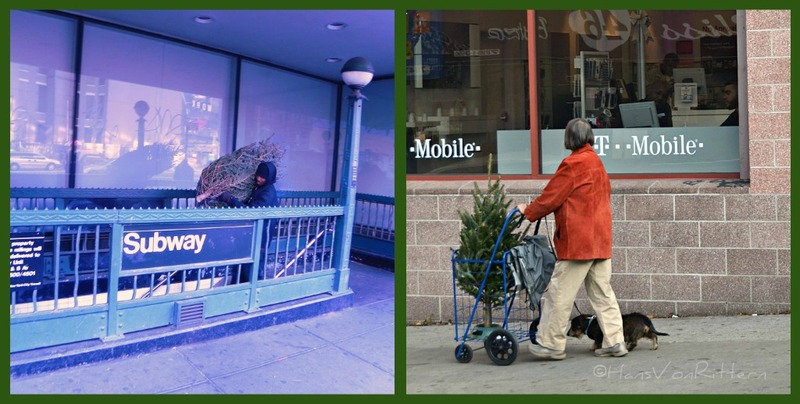 If you have ever complained about putting up the lights on your tree – you have nothing to complain about. This tree will take 40,000 LED lights winding over 6 miles of wire! The world famous Swarovski company will supply the crystal star atop the tree. The official lighting ceremony draws thousands of people including a gaggle of celebrities and will take place Wednesday, November 28th. Tis the season . . .